The boys are really into “helping” out with laundry lately. 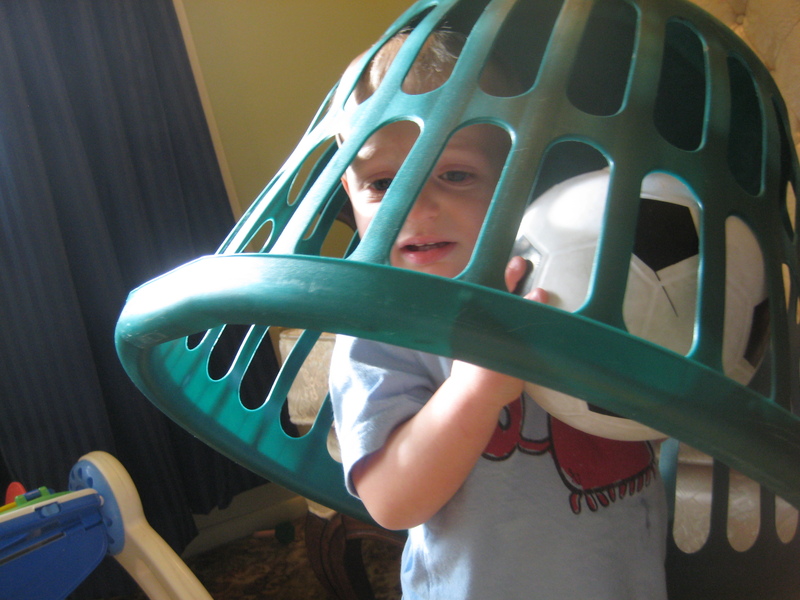 Mostly they like to play with the baskets. This is Carter wearing his like a hat and then not being able to get it off again. 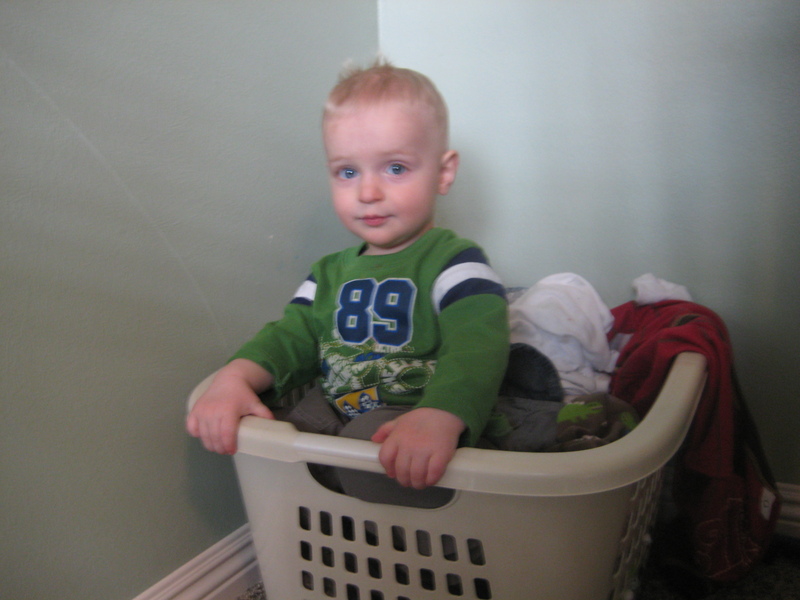 And this lovely climber is Cooper who couldn’t get back out after mounting the pile of dirty laundry in his basket.